46. Offer safe and appropriate birdseed. Many North American birds eat seeds. Some finches belonging to the family Fringillidae feed on virtually nothing else, but most birds eat other foods as well. Birds that eat seeds either break the shells open to eat the heart or swallow the seeds whole, letting their gizzards grind down the shells. Birds are as varied as the plants that produce seeds. Some species, such as crossbills, have beaks specifically structured to open certain kinds of seeds; others, such as most blackbirds, can open a wide variety of different seeds. Some of the birdseeds most often provided at feeders are discussed here, in approximate order from most to least useful. 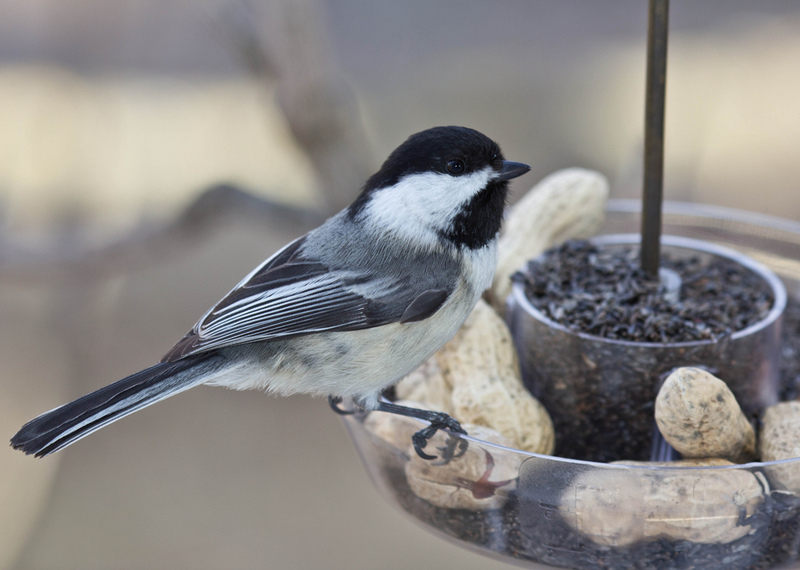 A huge variety of birds, from chickadees to grosbeaks, feed on sunflower seeds, so if you provide only one kind of bird food, this is the best choice. There are two main varieties: black oil and striped. Striped sunflower seeds are larger and have thicker shells than black oil sunflower seeds, so the striped ones are more difficult for smaller birds and birds with weaker bills to open. If you’re inundated with House Sparrows, it’s wise to switch to striped sunflower seeds until they’ve moved on. Black oil sunflower seeds have a higher fat content than striped. Fat is a high-energy food that birds metabolize efficiently, so the extra calories and fat make black oil seeds more valuable during the cold days of winter when birds maintain their body temperature by shivering, requiring extra calories. I use black oil seeds almost exclusively at my feeders. Some of the birds that feed on sunflower seeds are ground feeders, especially doves, sparrows, towhees, and cardinals. Don’t spread on the ground more seed than the birds will eat in one day, especially in wet weather. Sunflower seed shells contain a plant growth inhibitor, so some people recommend not placing raked-up hulls on compost piles that will be used on gardens. However, this compost may help keep weeds at bay when placed between garden rows. To keep birds from feeding near decaying seeds and other compost, which may harbor fungi, keep your compost bin closed or screened. A moth that lays its eggs within sunflower seeds can become an annoying problem when the seed is stored in the house. The caterpillars feed on the sunflower seeds, increasing the likelihood of fungal and bacterial growth, so these moths make the seed somewhat dangerous for birds, too. The U.S. Fish and Wildlife Service recommends that seed distribution store seeds in air-conditioned spaces to help control these pests. Sunflower seed is grown primarily for human food, especially vegetable oil, and because of its obvious popularity with birds. U.S. farmers lose about 2 percent of their entire crop each year to birds. Bird clubs and those of us who feed birds should encourage birdseed retailers to investigate how their suppliers control blackbirds and to boycott those that resort to poisons. A national agricultural insurance system, paid in part by a tax on birdseed, could protect farmers from serious losses while protecting birds, humans, and the environment we share from dangerous pesticides. 2. Sunflower hearts and chips. If you live in an apartment or just don’t want to deal with sunflower seed shells, you can offer hulled sunflower hearts or sunflower chips. 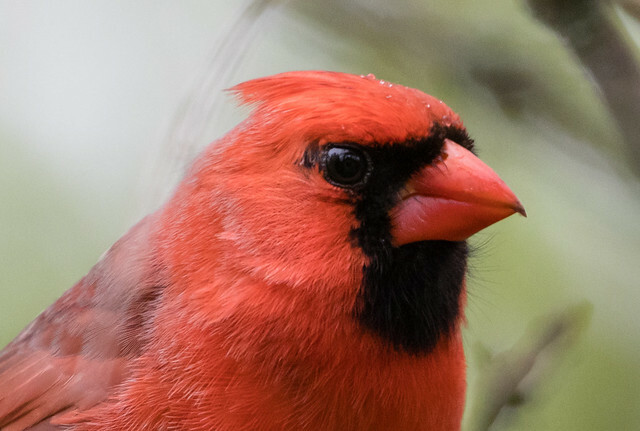 These are also very good for birds with soft beaks, such as tanagers, so they appeal to an even larger set of birds than are attracted to whole sunflower seeds. Sunflower hearts spoil quickly, especially in wet weather, so provide them in small covered or tube feeders or in well-drained open platforms, and freshen the chips frequently. Store them in a cool, dry room in tightly sealed packaging to prevent sunflower moth damage. 3. Niger seed, or thistle. Goldfinches, siskins, and redpolls eat many small weed seeds, and among their favorites is thistle, a noxious weed that can’t be sold in the United States. Niger (sometimes spelled Nyjer) thistle, grown in India, Ethiopia, Burma, and Nepal, is just as attractive to birds and is sterilized, so it won’t germinate here. In recent years, Burma has emerged as one of the three top exporters of niger seed to the United States. In 2000, India was the number one source of niger seed, followed by Ethiopia, Burma, and Nepal. In a two-month period (April and May 2001), U.S. companies imported over 3,000 tons of niger seed from Burma, which they valued at $1.6 million. This projects to an annual rate of 18,000 tons and almost $10 million. At the retail level, this translates into more than $50 million in sales. Some of the U.S.’s biggest birdseed distributors … sell mixes that contain niger seed from Burma. But Burma is hardly a “reputable” supplier. Government watchdogs like the International Labor Organization and the U.S. Department of Labor have concluded that the use of forced labor in Burma is “widespread and systematic.” Based on these findings, U.S. government agencies are prohibited from purchasing goods made in in Burma. We urge consumers not to purchase any birdseed mixes that contain niger seed from Burma. We also ask that you contact bird seed distributors headquarters and local retailers and urge them to halt this practice that directly supports the repressive regime that rules Burma. The U.S. government has had a ban on niger seed from Burma now for the last three years. Overall, birdseed accounts for only about 2 percent of Burma’s exports. (Two far more significant Burmese exports are apparel, which involves the use of forced labor, and teak, which contributes to deforestation.) Continue to alert bird food retailers to your concerns about niger seed from Burma and ask them to boycott companies that sell Burmese niger thistle. Concerted international pressure on Burma may eventually force it to improve its environmental and human rights practices. To feed niger seed, use little mesh bag feeders called thistle stockings, which feeders cling to while feeding, or tube feeders with small openings. Finches are sociable, flocking birds that can feed almost shoulder to shoulder, so feeders with many ports work well for them. Use large feeders that can accommodate many finches only when you actually have many finches—otherwise, the seeds will sit uneaten for days or weeks and spoil. Niger seed is expensive, so if you’re inundated with finches and want to keep them happy within a more reasonable budget, mix thistle with sunflower chips. If your thistle tube feeder doesn’t block seed from falling below the lowest hole (most feeders have an open tube all the way to the lowest perch, a couple of inches below the lowest feeding hole), the seed on the bottom will become rancid and moldy. To prevent this, fill the bottom with clean sand or marbles to just below the lowest feeding hole. When you don’t have many finches and the seed isn’t used up quickly, set out only a small amount and freshen it regularly. White millet is popular with ground-feeding birds, including quails, doves, native American sparrows, juncos, towhees, and cardinals. Unfortunately, it also attracts cowbirds, House Sparrows, and blackbirds, which are already subsidized by human activities and kept at unnaturally high population levels by agricultural practices and habitat changes. When these species are present, skip the millet; virtually all of the more desirable species that feed on white milled also like black sunflower, which doesn’t attract as many cowbirds or House Sparrows. In my own yard, I scatter white millet on the ground only during migration periods, when native sparrows are abundant. My neighborhood has very few House Sparrows. Safflower is a favorite of cardinals, and grosbeaks, chickadees, doves, and native sparrows feed on it as well. 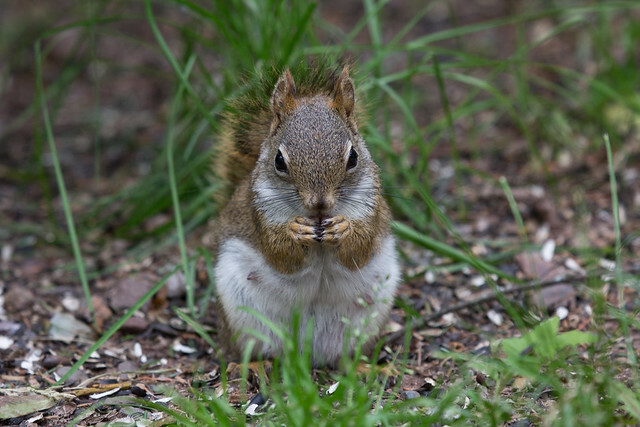 According to many books, House Sparrows, starlings, and squirrels don’t like it, but in some areas, certain individuals seem to be developing a taste for it. Because safflower is offered primarily for cardinals and grosbeaks, open platform feeders or large hopper feeders are the best choices. Milo is eaten by many birds, especially ground feeders in the Southwest. The Cornell Lab conducted seed preference tests and found that Steller’s Jays, Curve-billed Thrashers, and Gambel’s Quail prefer milo over sunflower seeds, According to Carrol Henderson, House Sparrows don’t like it very much, although cowbirds do. If you buy mixed seed, look at the label to make sure that the little red seeds are milo or sorghum, not red millet. 7. Shelled and cracked corn. Corn is eaten by grouse, pheasants, turkeys, quails, cardinals, grosbeaks, crows, ravens, jays, doves, ducks, cranes, and many other species. Unfortunately, it’s also very attractive to House Sparrows, cowbirds, starlings, geese, deer, and bears, none of which should be subsidized. Don’t offer corn if these species are a problem. Even worse, corn is the food that is most likely to be contaminated with aflatoxins, which are highly poisonous to birds. Never buy corn sold in non-breathable plastic bags, because condensation fosters fungal growth. Many of the birds that like cracked corn are ground feeders, but spreading corn on the ground may increase the likelihood of contamination with fungus. Spread only a small amount at a time, and be very conscientious about keeping the feeding area raked. Never offer corn that is coated with a red dye. This means that it has been treated with fungicides and is intended for planting. It is highly toxic to humans, other mammals and all birds. Rapeseed is eaten by only a few species, such as quail, doves, finches, and juncos. Unless you have these species at your feeder, any rapeseed in the mixture is going to spoil and foster fungal growth and potential disease. 9. Golden millet, red millet, flax, and buckwheat. These seeds are not nearly as popular with most birds as white millet, so they are more likely to be left over to spoil. Most inexpensive grocery store seed mixtures contain at least one or two of these, adding bulk but reducing the quality and potentially increasing the likelihood of disease transmission. Also, grocery store seed mixes are usually packaged in plastic bags, where condensing moisture can promote the growth of fungus and other disease organisms. This is very popular with House Sparrows and cowbirds, so it should not be offered. Other birds that feed on canary seed, such as doves and native sparrows, are just as happy with sunflower seed, and canary seed isn’t particularly nutritious compared with other seeds. Many species eat wheat and oats, especially gallinaceous birds, but they are also popular with starlings, House Sparrows, and cowbirds and should not be used. Sometimes these are added as fillers to bird mixes, but they can quickly spoil. Popped popcorn is sometimes eaten by thrashers, but since it’s likely to spoil after being soaked in rain or even heavy dew, it isn’t a good choice. Never offer microwave popcorn or buttered popcorn.